The champion of a national movement that united the middle class and working class in what came to be known as “Lulism,” Lula was Brazil’s first working-class president; the first president to have no university degree; the only president to democratically complete two terms in office; and the only elected president followed by a successor who was also elected by direct popular vote. In public opinion polls, he is recognized by 50% of the population as the best president Brazil has ever had. Backed by organized labor, Lulism confronted issues of mass poverty without espousing revolution. What does he stand for? Why did the Workers’ Party lose power after the re-election of Dilma Rousseff? What now for Lula, and Brazil? 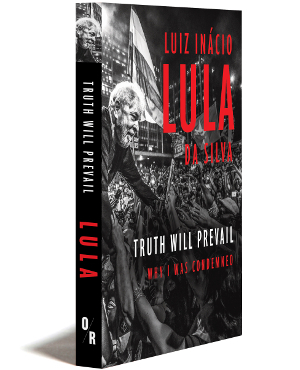 In Truth Will Prevail, Lula discusses his vision in detail.